"I couldn't resist a poster with these guys. Explanation for the theme, from the brain storm Facebook group. This was a fun challenge, and I'm kind of bummed I'm done, because I had such fun thinking this universe up. I wanted to do a historical take. 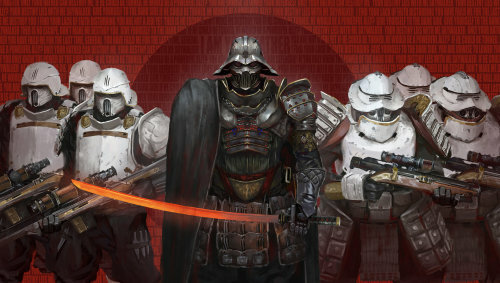 But not the regular Samurai Star Wars take. 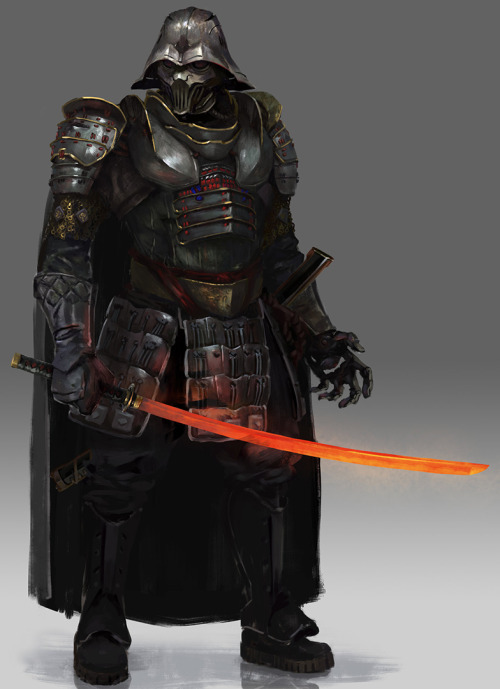 Those are great, but I wanted to play with my imagination more then just set them in feudal Japan. I imagined how would costumes look in a ww1 like setting level of technology. For the Star Wars story. If History had taken a different turn? 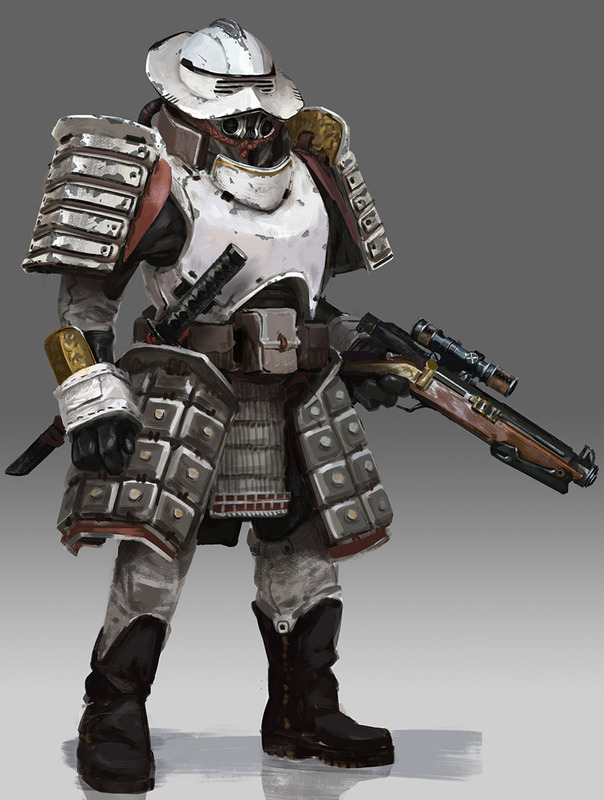 If samurai aesthetic would have advance to the wars of the early 20th century? 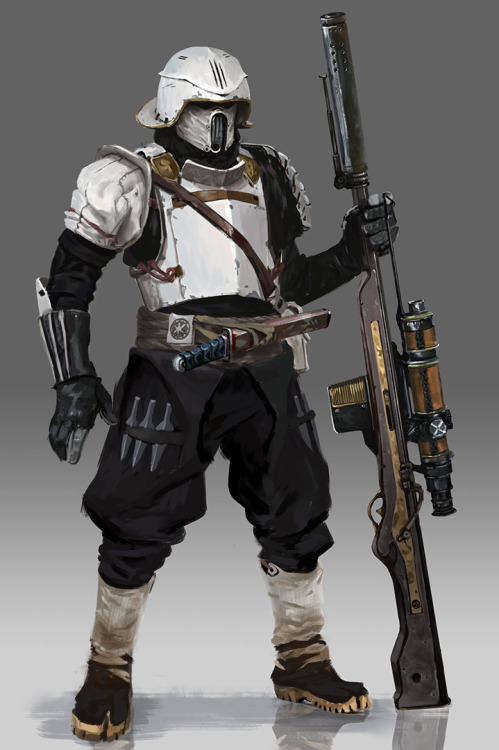 How would this affect armor and there weapons? What if the Matchlock/Flintlock guns had progressed to be on par if not superior to ww1 era guns? And how would a Saber/Katana work with a plausible tech that could have been developed in that time period? With the same benefits that the light sabers have in the source material? Like I said I had a lot of fun with this, perhaps too much fun? It was fascinating to research the history of Japan. As well as induction technology, and Matchlock/Flintlock's. It was a fun rabbit hole to follow."